The great expat debate: do you need a work permit? 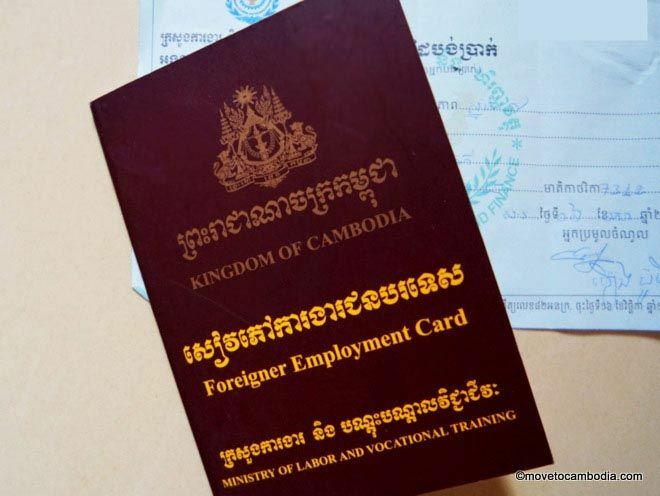 Please follow our blog post What’s happening with work permits in Cambodia? for more information on the latest developments. Unfortunately, what’s listed below is no longer accurate. Update 8/31/2016: The government has announced that foreigners will be able to apply for work permits online, starting tomorrow. More info here. Update 7/28/2016: The Immigration Department has announced that they will be offering a retirement visa that waives the work permit requirement starting August 1, 2016. Update 6/16/2015: It is being reported that the requirement for work permits is now being enforced. We’ve got a post with all of the details on the blog. The information below may or may not be accurate pending the new rule enforcement. It’s important to note that work permits and visas are not the same thing. In theory, although you may have gotten a year-long visa (often called a business visa), that doesn’t necessarily give you the right to work in Cambodia. In practice, Cambodia is one of the least regulated countries in the world when it comes to visas and employment, and many expats do not have the work permits that they ostensibly require. A real life Cambodia work permit. There are two types of work permits in Cambodia: temporary and permanent. Temporary work permits are for most regular expats and last the length of the individual’s visa. Permanent work permits are reserved for major investors and friends of people in high places. You will also have to pay a fee. Although the actual amount of the fee is not stated in Prakas 555, the document concerning Cambodia’s “Management of Foreigners’ Work Permits,” it’s generally known to be $100. At the current time, work permits are essentially a non-issue. You do not, in practice, need a work permit to get hired at a company in Cambodia. Most expats do not have them and the government rarely asks about it. There have been more crackdowns recently–they usually last a few days and a few people are told they need to procure permits–but then everything goes back to business as usual. Most English schools, for example, have a small percentage of teachers with work permits that can be shown to the police when they come by to ask. The schools don’t bother to obtain permits for the rest of the staff. Although this is the case at the time of writing, it is likely that at some point in the future laws about work permits for expats will be more vigorously enforced. For those who are required to get one, a work permit usually costs $100 per year. However, be aware that in recent crackdowns foreigners have been required to pay $100 per year backdated for the entire time they’ve spent in Cambodia, not just the current year.